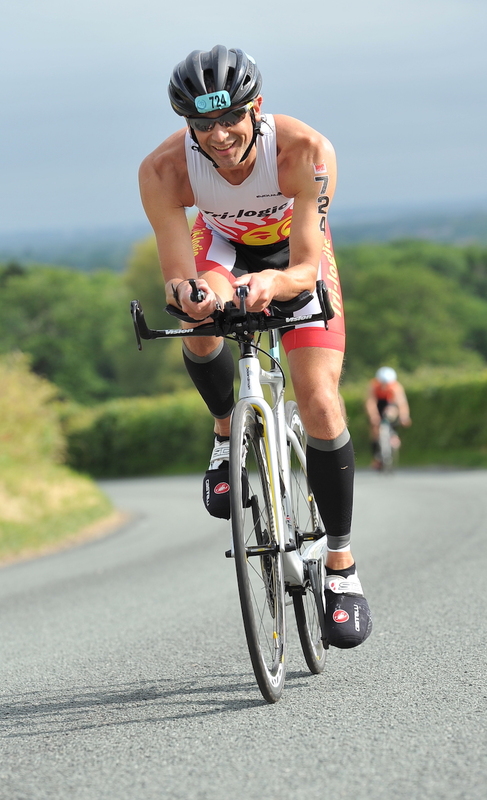 DEVA Standard Distance National Triathlon Championships: 1.5km, 40km, 10km. 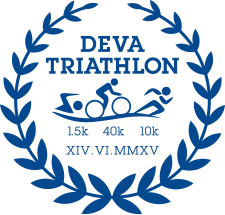 The Deva Triathlon, held in the beautiful Roman city of Chester, was my first experience of a large national event that attracted top competitors from around the country. 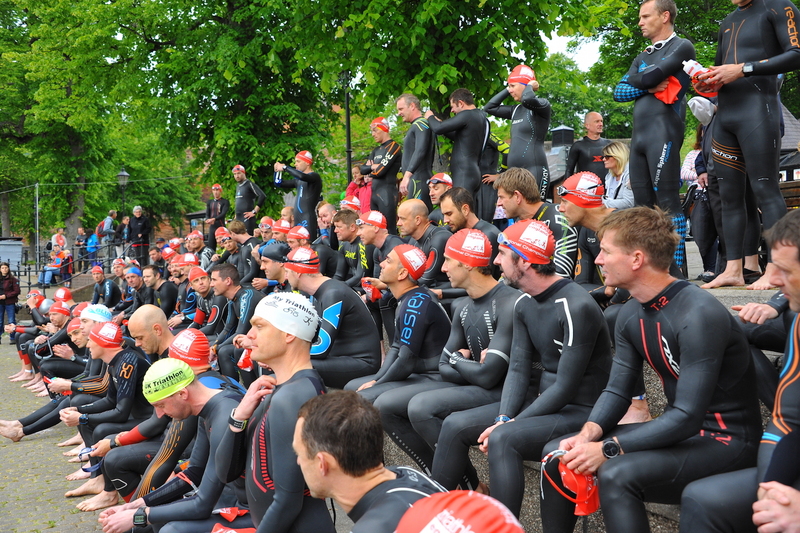 There were close to 1300 competitors, many of which seemed to be wearing GBR tri-suits! Although I was the only Trilogicaler there racing, I had travelled up with a couple of friends from a Birmingham based tri club. We arrived on the Saturday afternoon, parked up and headed into the busy registration area. The organisation was great, and before long we were investigating our well loaded competitor packs, checking out the river and transition area. We had also booked onto a coach tour of the bike route, which proved to be a great help for the following day. After the tour, it was back to registration for our pasta party and race tips. The pasta was good, but we couldn’t really hear the tips. However, I think the main message was just to go as fast as you can, for as long as you can! The River Dee was 14 degrees and brown. That said, even at 8:15am it felt quite pleasant. With 180 people in my group the start line was quite busy, so as soon as the gun went, I pushed forwards to escape the crowds. The fit of the new Snugg suit was great, and definitely helped me to a time of 19:40 in the water, which put me in 8th position. 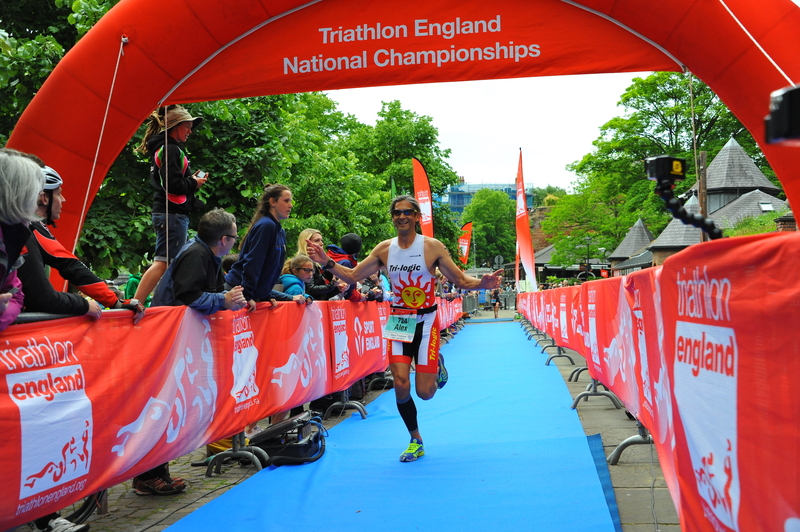 A quick jog along the red carpet, past the cheering crowds and tv crews took me to transition – that all seemed quite different to the Cornwall series events! Transition wasn’t great. Shall I wear socks; shall I wear a top; shall I have a drink? Far too much faffing and time lost before I decided to just get on with it! The bike course was undulating, with a few hills, enough to get you out of the saddle. It started with closed roads in Chester, and then headed out into Wales for 15km, and back to Chester. Apparently, there are not many triathlons that go through two countries, so we were told. I held my place well up until the 10km mark, when I started to here the whirring sounds of full disc wheels behind, and powerful cyclists in my wave started to pass. I was passed by about ten cyclists over the bike course, but passed three others in my group. By the end of the bike I was still in the top 20 position, which was my aim. This transition was better; bike racked and out pretty quickly, with my nice new Brooks shoes on! Three laps of two miles; mentally that’s good – a run 2 miles three times is manageable! Scenically, it’s a great run. Along the riverside and loop back around, over the foot-bridge, past the finish, over the other bridge and back along the river path again. A little bit of knee pain from an injury was holding my run pace back, so I lost more places during this section, which was a shame as I dropped to 35th in my group. Still, I managed a 42 min time, with a 6.52 min mile pace which was ok. Overall, I was happy with my finish time and look forward to beating it next year. For anyone keen on doing the event next year, you can see this year’s race on Channel 4, 18th July.